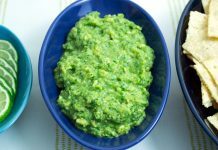 After watching the popularity of “Safe Starches” blossom in the Paleo community over the past few months, I decided some experimentation was in order. Potatoes and white rice are cheap foods, and who couldn’t use a little help with their budget nowadays? Past forays into the world of starch did not go well for me. Potatoes, rice and corn don’t seem to play well with my stomach. I did, however, become hopeful again when I started learning how to ferment foods. 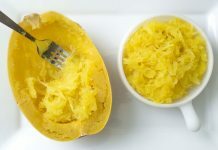 I can’t say that I’m brand new to fermented foods, as I’ve been fed fermented sauerkraut for as long as I can remember, and I always remember having fermented pickles in the house. However, the fermented foods I ate were always store bought, never fermented at home… and anyone who has ever purchased fermented foods in the store knows how pricey they can be! But more than that, the fermented foods you typically find in a store (cabbage, carrots, yogurt, etc) were not the foods I was looking for. When is the last time you saw lacto fermented rice in the grocery store? But I knew our friendly little lactobacilli friends (read: the friendly bacteria found in yogurt and probiotics) will eat the heck out of starch and sugar. So, my plan went, they should make rice easier for me to digest, possibly allowing me to eat rice without pain and therefore lowering my grocery bill. It was all such a cunning plan! It did, in fact, make the rice easier to digest. (Both brown and white rice.) So if your intestines are in good working order, this may be a good plan for rice. However if you have trouble digesting starch, I’d probably still stay away from it. “About 100gm of cooked rice has only 3.4mg of iron, while for the same quantity of rice fermented for 12 hours, the iron content went up to 73.91mg. Likewise, sodium, which was 475mg came down to 303mg, potassium went up to 839mg and calcium went up from 21mg per 100gm of cooked rice to 850mg, after 12 hours of fermentation of the same quantity of rice,” Barooah said. That’s definitely a bonus! So, if you are interested in trying this experiment for yourself, here’s how I did it. 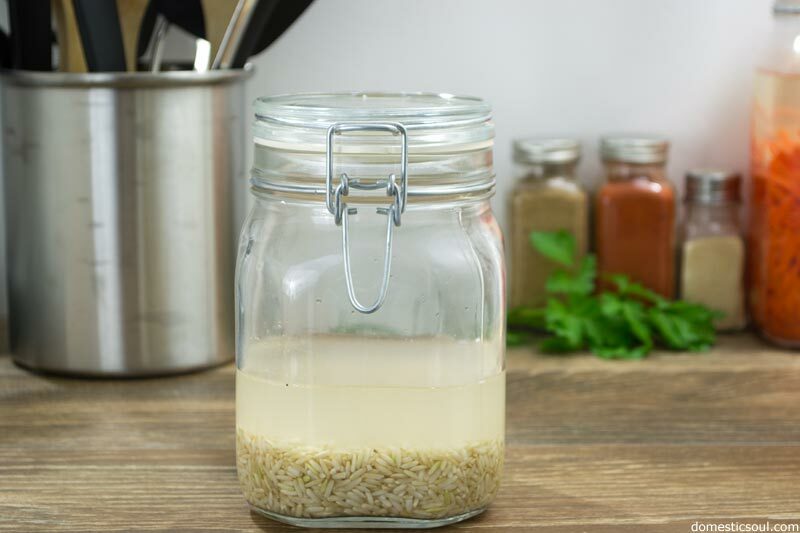 Step 1: Add rice, water and whey to a jar – I used this jar from Bormioli Rocco. Make sure the jar is large enough so you have a few inches of room at the top. Cover the jar and leave in a warm spot in your house. I usually leave mine on the counter top next to my refrigerator so the jar catches the warmth coming off the back of the fridge. Let sit for 12-24 hours. Step 2: After 12-24 hours, cook the rice as follows: (Note: Use these cooking directions to make plain rice. If your recipe gives you other cooking directions, use those.) Dump the contents of the jar (water and all) into a pot with a lid. Step 3: Cover and bring to a boil. 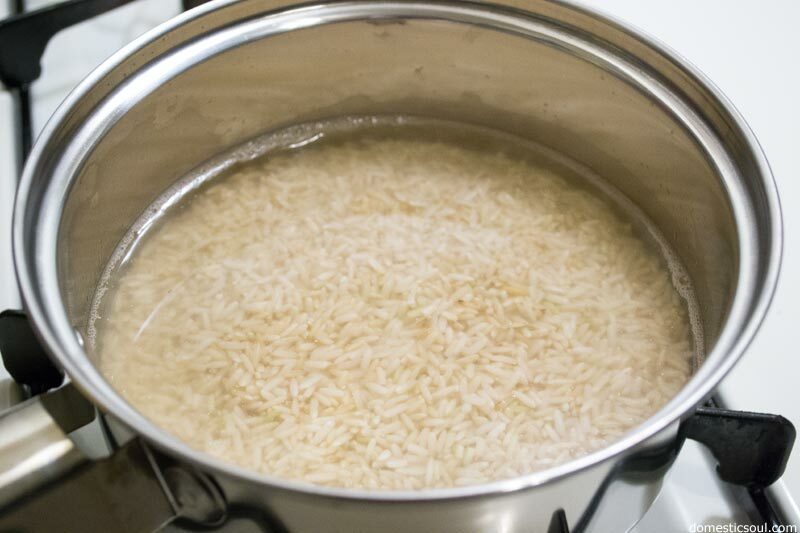 Step 4: Once it begins to boil, turn down to low and leave covered until the rice has soaked up all of the water – maybe about 30-45 minutes. Fermented rice does seem to take a little longer to cook than un-fermented rice. 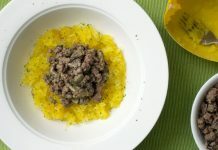 Step 5: Serve by itself, topped with a little butter, or with another recipe – like Golabki (stuffed cabbage), Coconut Curry, or Sweet and Sour Pork. Add rice, water and whey to a jar - I used a jar from Bormioli Rocco. Make sure the jar is large enough so you have a few inches of room at the top. Cover the jar and leave in a warm spot in your house. I usually leave mine on the counter top next to my refrigerator so the jar catches the warmth coming off the back of the fridge. Let sit for 12-24 hours. After 12-24 hours, cook the rice as follows: (Note: Use these cooking directions to make plain rice. If your recipe gives you other cooking directions, use those.) Dump the contents of the jar (water and all) into a pot with a lid. 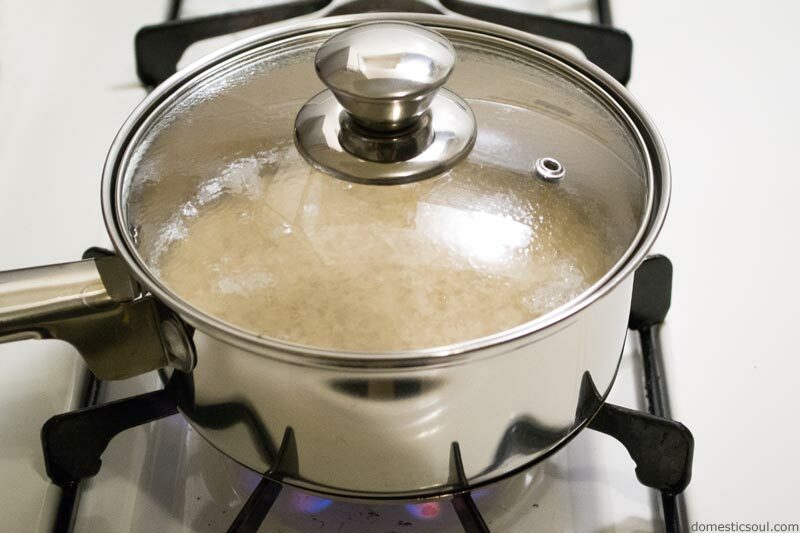 Once it begins to boil, turn down to low and leave covered until the rice has soaked up all of the water – maybe about 30-45 minutes. Fermented rice does seem to take a little longer to cook than un-fermented rice. 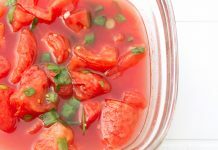 Serve by itself, topped with a little butter, or with another recipe - like Golabki (stuffed cabbage), Coconut Curry, or Sweet and Sour Pork. I doubt rice will have a sour taste after soaking it in whey overnight. Try some idli out at a local Indian restaurant. Then check out the recipe (without baking soda) of making it at home. Not the easiest but adequately cheap. Lentil (urad daal, specifically) is soaked for 4-5 hours, ground and then allowed to ferment overnight with rice powder. The batter rises to almost 3 times and this is then steamed to make steamed rice cakes. I am sure you will be able to handle rice much better, this way. 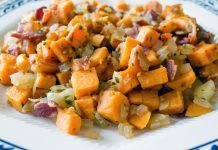 How come it takes longer to cook if the starch content has been reduced? My only guess is due to using the brine from the rice. Maybe the acidic brine prolongs the cooking time. Possible. But also, by reducing the starch, you’re also changing the structure of the rice, so that could also be the cause. I can’t really tell you for sure. How do you know that in fact it made the rice easier to digest when soaking with whey? I’ve read that they leave it overnight with water after boiling the rice. Curious, does the rice have a sour flavor? I’ve never noticed a sour flavor after fermenting it. If I had to make a guess, I’d say that it would have to ferment a lot longer than 12 or 24 hours to get the sour flavor. (In my head, I’m comparing it to sauerkraut, which gets more sour the longer you leave it – usually over months.) This short fermentation seems to be just long enough to break it down a bit without altering it too much. Hi. I am wondering why you site a study that is done with fermenting rice after it has been cooked (poita bhat), yet you try and ferment it before you cook it. The study done shows the release of nutrients during fermentation of the rice after it is cooked (and water is drained, rice cools off, and then soaked in fresh for 12 hours and allowed to ferment during that time. From what I understand, the soaking you are doing before is cooked, even though it contains whey, is not doing what you think it is doing. It is more of an attempt to sprout the grain before cooking it which has benefits but not near the same benefits as the study you quoted. 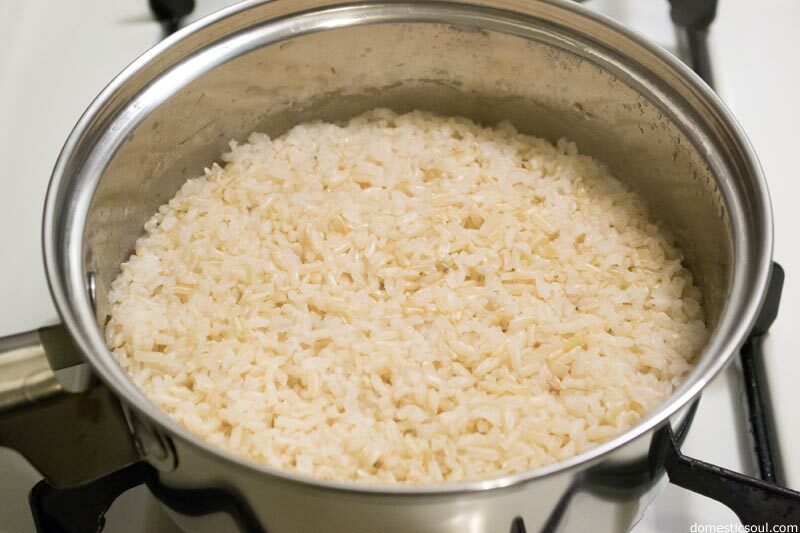 The magic of the nutrients being released occurs with fermenting the rice AFTER it has been cooked. Please let me know if I am missing something here as I am only trying to be helpful. Thanks. Agreed, cooking will kill all the fermenting bacteria. Do you think I could use a vegetable starter culture powder for this instead of whey? I can’t guarantee results, because I haven’t tried it myself, but I don’t see why a vegetable starter culture wouldn’t work. I think it should be ok.
Was wondering if you tried the vegetable starter? I am really missing rice, but don’t want to use whey. If veggie starter worked for you, thought I’d try it! Do you know if this would work with quinoa? I don’t, actually. I’ve only recently started playing around with quinoa, so I haven’t tried this out yet. Can apple cider vinegar be used instead of whey? And can other rice be fermented such as wild rice and Haiga-mai (germ rice)? I do know you can use other rices. I haven’t tried wild rice yet, but I have tried jasmine, basmati, long grain white, and so on. I bought some forbidden rice to try this on as well.. So I’m excited to try that out. I can’t tell you if ACV would work, as I have never tried it and haven’t heard of anyone trying it. But I’ll keep an eye out for more info on it and let you know if I see anything. 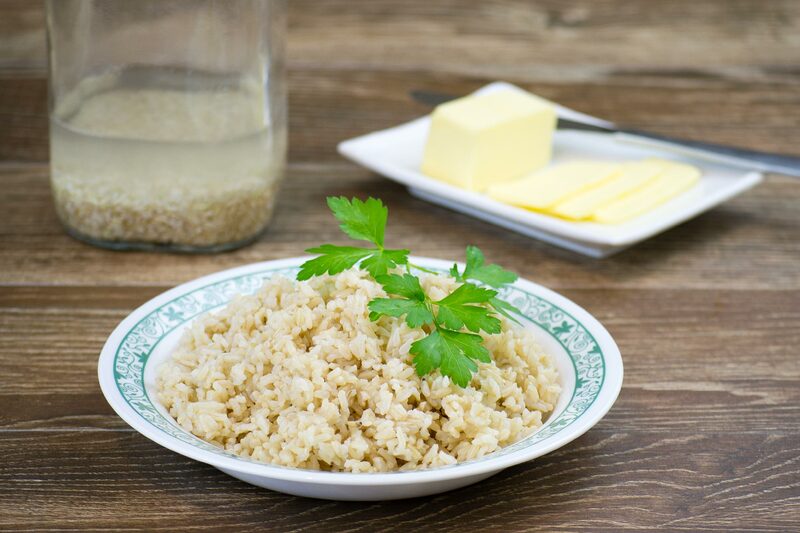 Do you know where I can find nutritional information on lacto-fermented rice? I’m curious about how much of the starch is eaten by the lactobacilli. 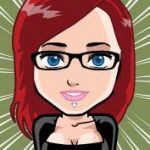 I’m a pregnant,T2 diabetic trying to stay out of ketosis, while still controlling my glucose without injecting too much insulin. Everyone seems to agree (from what I’ve read) that the starch is indeed “broken down” and leads to “increased digestibility”, but no one seems to give specific numbers. Helpful, right? I know. That said, it is an interesting question, so I will absolutely keep an eye out and let you know if I come across anything. I do have a number of fermentation books to get through, so who knows what I’ll come up with. Wow…the increase in iron makes any increase in insulin needed worth it! Thank you for this information.